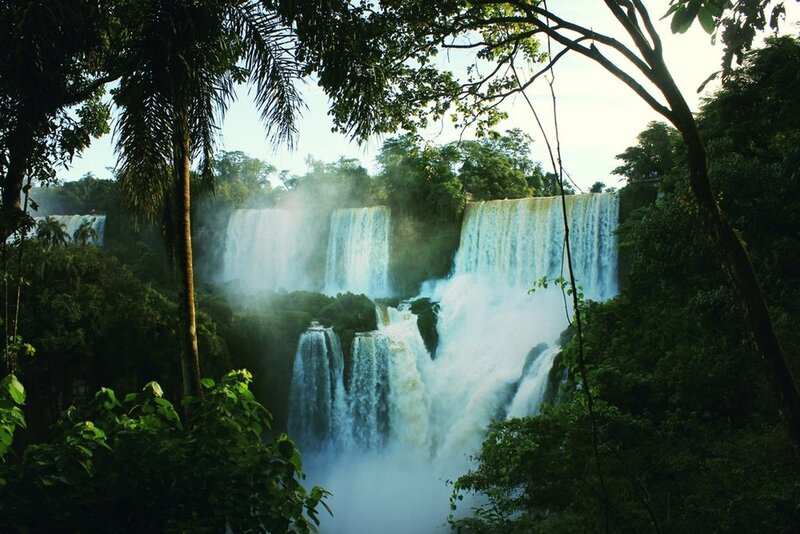 Brazil is home to one of the most iconic natural phenomena in the Americas, and indeed the world: Iguaçu Falls. This monstrous spectacle is the result of hundreds of kilometers of gushing streams making their way westwards from the Atlantic Ocean, in the form of the Iguaçu River, before they finally crash over cliff edges of up to 80m in height! This is without doubt a display of nature at its most powerful and unforgiving. Nothing can capture its energy, no words or photographs; it’s only when you see Iguaçu for yourself that you understand its ferocity. That’s precisely what we’ll do on this tour, starting by zipping through the lush jungle on our bicycles, breathing in the crisp, clean air as we take in the sights and sounds of the beautiful, surrounding tropical rainforest. We’ll then take to the walkways which lead us to the spectacular waterfalls themselves, an adrenaline-packed otherworldly sight complete with plunge pool spray covering our skin while there! As the thundering roar of Iguaçu Falls fills the air, you will realize that this isn’t only a feast for the eyes; it’s a complete spiritual experience from start to finish. Arrival in Foz de Iguaçu and transfer to our hotel. After check-in we will go to our bike & hike activity. We leave the hotel by car to the National Park’s visitor center where we’ll find our bikes, safety helmets and a bottle of water. Accompanied by an instructor and a guide we will pedal about 10km to the beginning of the trails of the Brazilian falls. The total length of the runway is 1200 meters from where we get to see the 275 waterfalls that make up the Iguaçu Falls; the most important on the Brazilian side are four: Floriano, Deodoro da Fonseca, Benjamin Constant and Salto Uniao or Devil's Throat. We park the bicycles in front of the first viewpoint and start the trail on foot, due to the stairs, ascents and descents that will provide us with beautiful landscapes and different views of the falls. At the end of the trail we will have the possibility to return to the visitor center by bike or if we are tired we can do it on the park bus. Accommodation. 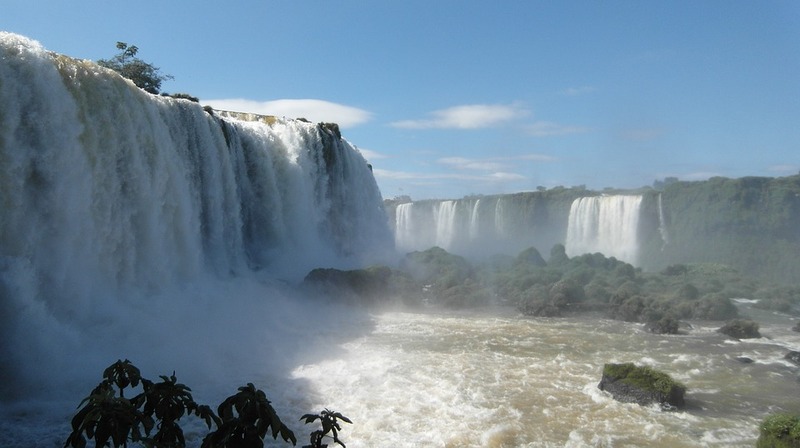 After breakfast we visit the Iguaçu Falls on the Argentinean side. Recognized among the seven natural wonders of the world, the Iguaçu Falls are the most visited natural attraction in the province of Misiones and one of the most impressive of Argentina and the world. Walking paths with different gateways offered by the Park may have a different view of the falls’ amazing scenery. The lower circuit allows more contact with nature, while the upper circuit gives an overview of all the jumps and the delta islands, and the impressive view of the Devil's Throat, where we feel the fury of water falling in many horseshoe shaped falls. Still in the Argentinean side, we’ll combine the essence of the Iguaçu National Park: jungle and falls in a single ride. We enter the jungle through the Yacaratiá narrow track in units designed for this particular environment, where the natural and cultural richness will be presented along the way. This 5 km car ride ends at the forest base Puerto Macuco. Going 100 meters down we arrive at the dock where we will meet the boats that lead us six kilometers through the canyon of the lower Iguaçu river towards the waterfalls while enjoying the rapids. 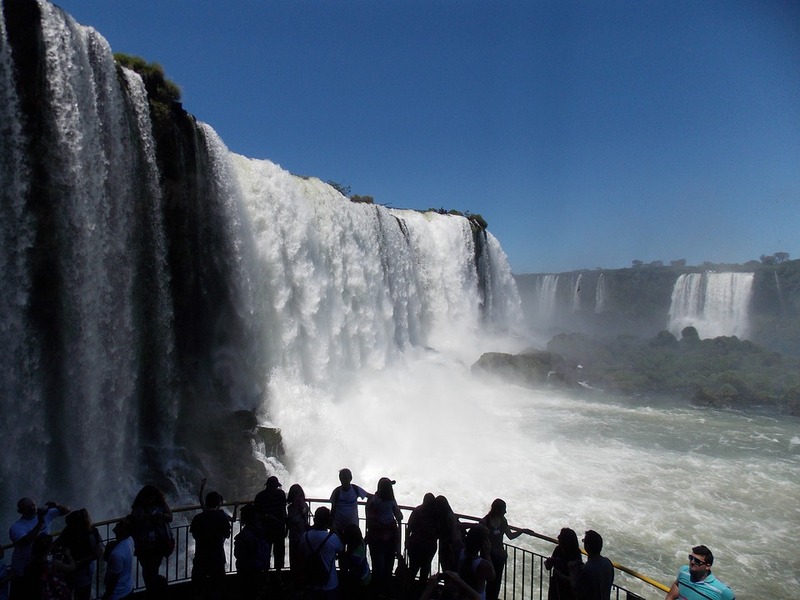 We’ll go to the base of Salto Tres Mosqueteros to see the set of Brazilian and Argentine falls, with the Devil’s Throat crowning the canyon’s view. Then we will reach the peak of emotion when facing the incomparable Salto San Martín, second on the scale and the largest approachable jump by boat. Finally, we land at the dock located in front of San Martin Island, where we will return to the runway system, through the Lower Circuit. Accommodation. Transfer to the airport of Foz do Iguaçu for departure to the next destination.